An accurate and reliable chromatic tuner. Requirements: Compatible with iPhone, iPod touch and iPad. Requires iOS 3.0 or later. iOS 4.0 or higher is recommended. This Tuner beats all the others! I'm playing Guitar for almost seven years and tried many programs. This ist the best for me. Does it work? YES - Chromatic scale works smoothly and accurately. Grrrrrreat app - This is perfect, it even did better than my "real life" tuner. awesome app - works better than the tuner i bought at the music store (more precise)! for best results have the noise reduction bar past half (i use 3/4). i would give it more stars if possible! Yay! Tuner that actually works! - The people who gave bad reviews are all complaining about crashing. That could be their devices' fault as well. 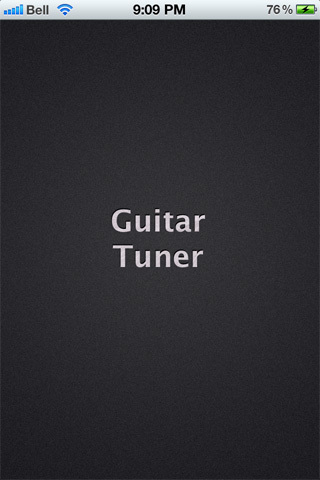 Nothing to do with functionality or the goodness of the app itself.This tuner is actually helpful. Meter doesn't jump erratically like other free and paid ones. Background noise filter is cool. Anyway, it's the fastest app I've used to get a guitar in tune accurately. Frustration with other tuners (looking at you, cleartune) has prompted me to review this one.Probably the best free, no-nonsense tuner. Perfect!! - Just what I needed thanks, simple and easy to use..all that i was looking for. Best tuner ever! - Chromatic tuner for all notes.Accurate.5 stars! What sets Guitar Tuner apart? There are numerous tuners on the app store, and boy do they range in functionality. Some just provide reference notes. Some detect only standard tuning notes. Our Guitar Tuner auto detects any note. 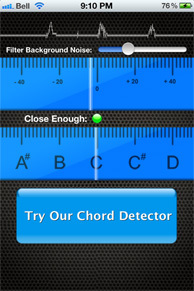 The background noise filter is something unique to our Guitar Tuner. It filters out any sound below a certain volume (controlled by you). This allows you to tune even in a noisy rehearsal room. Does it only work for guitar? No! It is optimized for guitar but will work with any instrument. Yes! 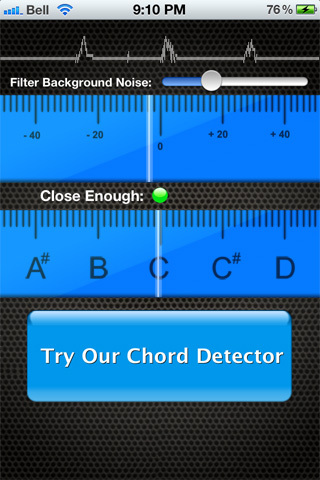 We have a Chord Detector app called Guitar Chords - tomChord". This app analyzes music from your iPod library or microphone and gives you chord and key information to help you play along. Copyright © 2012 Tom Hoddes. All Rights Reserved.